In the 1960s, while their husbands were en route to the moon, the wives of the Apollo astronauts got sick of journalists asking how they were feeling, so came up with the collective non-answer of: “proud, pleased and delighted“. We’ll never know how they really felt. If I had to nominate my equivalent, as 2015 turns into 2016, I would go with “exhausted, but invigorated and excited”. It’s accurate. It only just scratches the surface. If I’m honest, I’m pleased to see the back of 2015, but it’s finished on a much better trajectory and what is to come is shaping up to be epic. A winter’s New Year at Whistler in Canada, including a blast down the Olympic bobsled run from Vancouver 2012 (hitting a top speed of 126.6 km/h on the final corner); my first visit to Disneyland; camping with my boys at Lake Rotoiti (before getting smoked out by sandflies); climbing up and flying down the eastern end of the new Old Ghost Road MTB track; a family clean sweep at X-Race Nelson in March (with the painted toe nails to prove it! ); driving to Hanmer via the Rainbow Road and back on the Molesworth with MOD and family at Easter; teaming up with my brother to finish in 8th Place in the Wellington City Safari in May (not bad for a couple of old novices! ); cycling on the Avanti Dome velodrome; kayaking in Abel Tasman with Tango in October; racing Sarah Walker on a BMX over 20m at the Fast50 Awards in November (for the record: I finished second); completing my first full marathon in Queenstown in November, and another blast down the Remeka Track. And, then, just before my punished toe nails got complacent, running the Tongariro Crossing with Darryl in December. All of that meant at times that my downtime wasn’t very down. I managed three months off Sky Sport at the start of the year, a streak eventually broken by the Black Caps’ unexpected progress in the World Cup. Still that was a nice break, which left me refreshed ahead of the exertions of the Rugby World Cup later in the year. I didn’t completely deny myself live sport though – highlights were another scorching day and entertaining night at the Australian Open in Melbourne in January (including the treat of finally seeing Roger Federer live, plus Serena Williams at the peak of her powers, 13 years after I first saw her at Wimbledon), followed by the Cricket World Cup featuring the Black Caps live in Christchurch, Wellington and Auckland. It was also an honour to attend the Halberg Awards in February. If I play my cards right, involvement in sport in its various guises is going to be to be a bigger and bigger part of how I spend my time. I hope. I try to avoid describing the experience of working on an early stage ventures as being “like a roller-coaster”. Sure there are highs and lows, often in quick succession, but generally the intention is not to end up where you started. So, for the purposes of summarising the year just been, let’s go with squiggly line. I can’t comfortably watch Silicon Valley. Too painfully accurate, right up to the point that it becomes farce. Too close to the bone. I made two new early-stage investments during the year, in Wynyard and Melodics. On the other side of the ledger two smaller existing investments, Respondly and Gelato, accepted acquisition offers (from Buffer and Mashape respectively). 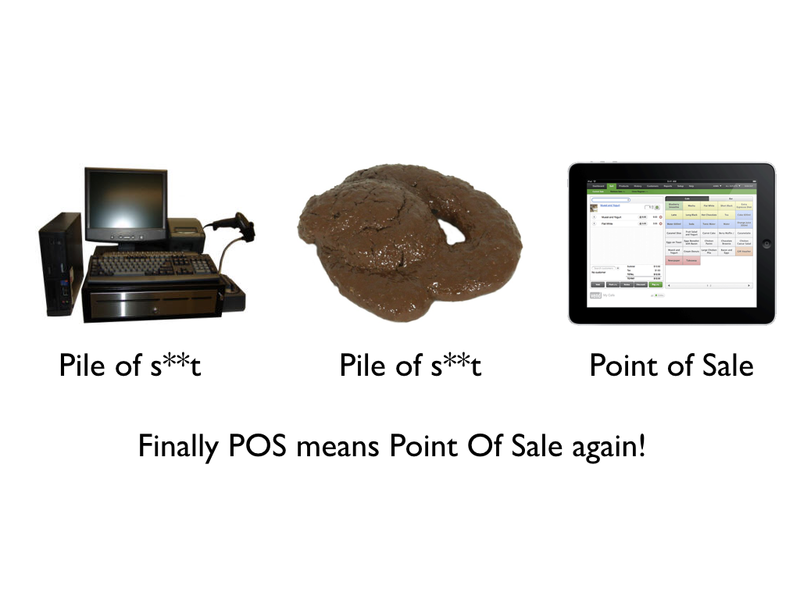 In both cases the products will continue on under new ownership and I wish them well. A significant chunk of my time was spent helping the companies I’ve invested in previously try to raise more. Vend, Atomic and ThisData (previously Revert) all successfully closed new investment rounds during the year, and I went again in all of them. Amongst the companies I work with directly, Timely was the exception, as they continued their impressive expansion without being distracted by looking for new capital. In total I’ve invested a little over $5.5m now, across 23 ventures. They already owe me nothing, even assuming all of the remaining investments are worthless (which might be safest). Haters gonna hate, but I’m increasingly proud of the companies I’ve backed and the progress they’ve made and I’m excited to have the opportunity to work closely with some of them along the way. I try to contribute more than I capture. I encourage all of the founders I work with to ignore the cheering from the grandstand and run hard to the tape with the capital they have. If they do that all of them have an opportunity to be another story worth telling. At the Deloitte Fast50 Awards in November I quietly celebrated a three-peat, as Vend joined Trade Me and Xero to become the third company I’ve worked with to earn the title of fastest growing technology company. In their case they followed up 4th place in 2014 with 7th place overall this year. Being near the top of that index two years in a row is nothing to sneeze at. For them it was a bright spot in an otherwise challenging year, so well earned. While my direct role ended soon after that, I’m thrilled to have been involved over the last five years. I’ll watch now from the side of the pool. As the year wound down I also reluctantly stepped down from the board at Powershop. Selfishly, the three years I’ve been a director was an invaluable apprenticeship for me, and I’m grateful to John, Ari and the team for having me along for the ride during an interesting time in the development of their business. And did those feet in ancient time? Once again I spent a big part of the year not at home. I was away for 185 days (one less than in 2014, meaning that record stands … for now), completing 90 flights and two inter-island ferry crossings in the process. Most of that was work, but there was some visits to amazing new places in the mix too. In June I had the opportunity to travel to Israel as part of an Australian technology delegation organised by Square Peg Capital. It was a great group and we were privileged to meet some remarkable people and visit some normally off limits places. Highlights included lunch with Eitan Wertheimer, a visit to an airforce base, a tour of the old city of Jerusalem and caking myself in mud and floating in the Dead Sea. I wish I’d had more time to reflect on the many lessons and write it up, but as it happened it was a pretty distracted trip, immediately followed by an intense week in Berlin, so I’m left with photos and fading memories. But I did return convinced that there is zero chance that we can reproduce their Start Up Nation miracle in NZ without compulsory military service for all 18 year olds. Then, in August, Emily and I finally made it to Africa with Jake and Billy from Nuru International. It was an honour to meet their teams in Kenya and Ethiopia and see the enormous impact they are having in both of those communities. Given the calibre of people involved it’s been a relatively easy project to support over the last five years, and especially cool to visit Kuria in Kenya (near the border with Tanzania), where the impressive local leadership team have now taken over the on-going management and are quickly planning further growth into surrounding areas. We were also able to visit the incredible monolithic chiseled churches at Lalibela in Ethiopia and prior to that spent a week kicking back on a beach in the Seychelles. Blurring the line between travel for work and pleasure generally means I get to experience the best of both worlds. I’m fortunate to have a great network of people that I see regularly in both Auckland and Wellington. And, even when I’m overseas, it’s great to be able to mix in great food and/or live sport in Melbourne or “Artisanal liquid nitrogen blood orange and pistachio cookie ice cream” @ Smitten Ice Cream in SF. My problems are entirely first world problems. Why'd ya have to go and make things so complicated? When I was at home, a lot of that time was soaked up in a new building project. In the course of the year it’s gone from hole in the ground to now completed working space. 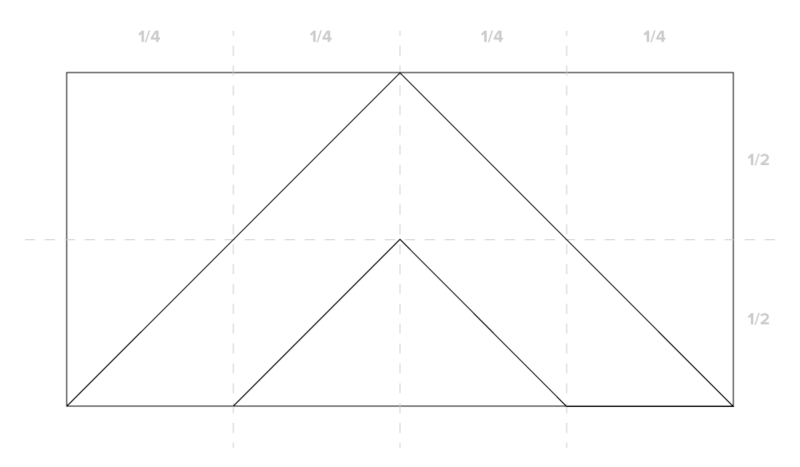 It’s been fun watching it take shape (and a pretty interesting shape it is too – triangles are not just for flags, you know!) In early December it was excellent to see it used in anger for the first time at the third annual Flounders Retreat. Spaces are for the people that fill them, and this one is going to be a good one by that measure, hopefully. In September I stumbled somewhat accidentally into the later stages of the NZ flag debate when a post I wrote about a design that had caught my attention was widely shared and suddenly #RedPeak entered the lexicon. It’s not everyday that you convince parliament to sit under urgency, so that was something, I suppose. I learned more about flags and politics than I really wanted to. It still seems unresolved whether it was a left wing or right wing conspiracy, but if you work it out do let me know! But in the end it was all for nothing – for every person who was convinced to support Red Peak, ten voted for one of the Lockwood Fern+Stars flags, so the seemingly pre-determined winner prevailed. That was obviously disappointing but not surprising. 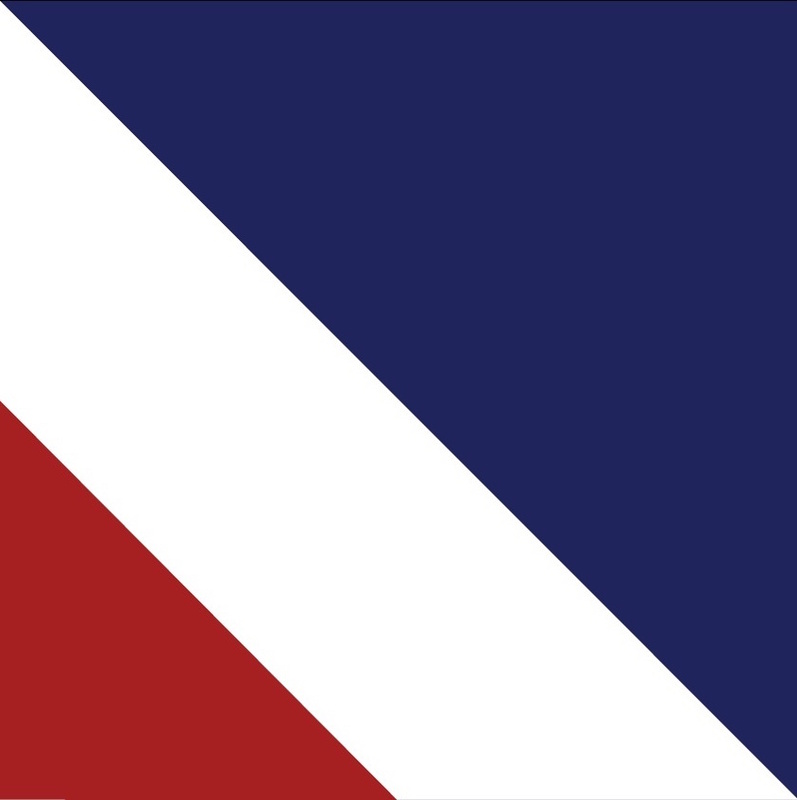 It would have been great to see Red Peak be the contender, but I’m still proud that we managed to get a real choice in the first vote. It would have been easy to just make a throw away snarky comment and forget about it. But, it was so much more inspiring to see a national conversation about identity and how we represent ourselves to each other and on the world stage. I’m not sure that would have happened otherwise. I’ve been amazed to see the creativity displayed by people who found something in the Red Peak design that made it their own. It was genuinely remarkable. I hope that conversation continues. But, sadly, it doesn’t seem likely. Those who short-listed the options were determined to pick a design that was unmistakably from New Zealand. 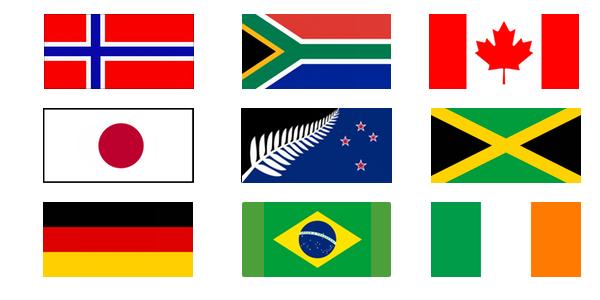 A bit of the silver fern combined with the current flag is hard to compete with, given that criterion. And so were left with the Hakarena flag, which to me screams 1994 Cricket World Cup. But, she’ll be right, I suppose. Luckily I will be some distance away, physically and mentally, by the time the second vote rolls around next year. Following a wonderful disconnected month or so at the start of the year, I spent a some time thinking slightly longer ahead than I normally do. While I was doing that I read an article written by Ben Casnocha which has ended up having a significant impact. It started a domino fall which eventually forced me to move beyond brute force and negligence. We’ve already made a significant dent in this, even in the first few months of working with Sacha. We’ve set up a whole new suite of tools to help us work together. Amazingly email is no longer a source of anxiety for me. My dream of implementing surge pricing on my inbox is a step closer. I’m genuinely invigorated and excited to think about what will be possible once we really hit our straps. A part of the urgency to make this change was driven by our plans to shake things up in 2016, in a way that just wouldn’t have been possible previously. We are taking our kids out of school for the year and in a couple of weeks we hit the road, with plans to visit all seven continents. I have no desire to broadcast or live stream it, but if you’d like to follow along we’ll post occasional updates here. It promises to be an amazing adventure. I can’t wait. This is the final annual report, and likely the final post full stop on this site, at least in the current format. I started writing these annual summaries in 2008, when I was in a very different place. Reading back over the full set it’s interesting to spot the things which are constant and the things which are nearly unrecognisable with the benefit of time and distance. Once upon a time this blog was a place where I would post most days. That activity, including all of the conversation which used to happen in the comments has in recent years switched almost entirely to Twitter, for better or worse. What’s left is a smaller and smaller volume of posts of which I am more and more proud. It’s become a bit of a joke amongst friends how often I reference back to old posts. It’s odd that a particular thought or idea should have a timestamp – both because to the extent that they are still valid and correct they shouldn’t seem dated, and to the extent that they are not they should be able to evolve (or be quietly deleted) rather than be frozen in perpetuity. So, it’s a relief to ditch the blog format and at some point I look forward to repurposing most of the recent content into something that will be more useful, more easily shared and hopefully more widely read. Thank you. Take care. Talk soon. Continuing my New Years Eve tradition, here are some favourite tweets from the year just been. Enjoy! Don't forget to like us on Facebook. And in real life too, if you're so inclined, but mostly on Facebook. We've been bought up to believe we can do anything. We've mistakenly interpreted that to mean we can do *everything*. Nope! You must choose. One kid falls out of a tree at school, so now tree climbing is banned. Will be interesting to see what happens when somebody fails an exam. Focus has a very wide turning circle. Blue collars, actually hi-vis yellow. White collars, actually pink. Everybody thinks they are a cat herder. Actually we're all cats. Only those who have had a successful outcome regret dilution. Everybody else regrets running out of money. Before you brag about punching above your weight, ask yourself whether the thing you're competing in actually has weight divisions. If MPI are serious about this fruit fly they should offer a million dollars for catching it one handed while wearing an orange T shirt. Was late to my first Fight Club last night so missed the intro rules. Still, Fight Club was brilliant and I'd highly recommend Fight Club. We are the No. 8 wire nation. We believe we can do anything. This has some big upsides. It means we have more than our fair share of inventors and innovators. But, sadly, it also means we are sometimes far too slow to engage specialists who can help us take our good ideas and make them genuinely world class. In fact, we’re often suspicious of experts. The whole process to select a new flag is yet another example of this. It’s crazy that the final four designs were selected by a panel that included a former All Black and a reality television producer but no designers. The result was actually predictable. They ignored expert advice and leaned heavily on popular opinion to make their selections. And with the final four choices they offered the country, they ended up offering little choice at all. Design is a strange thing. We all have an opinion. But, for most of us it is difficult to explain why we like one design but not another. This is what makes experts, experts. They can explain! We have a world class emblem; earned and worn by our greatest. I’m extremely proud of it. Whatever happens in these referenda it will continue to be the symbol that we choose to represent ourselves. Like many people, I initially thought it would be an obvious inclusion on our new flag. But, like most emblems, it’s a detailed shape, and therefore visually challenging to include on a flag. Even more so since it cannot use a simple fern without being too similar to trademarks such as the All Blacks logo. 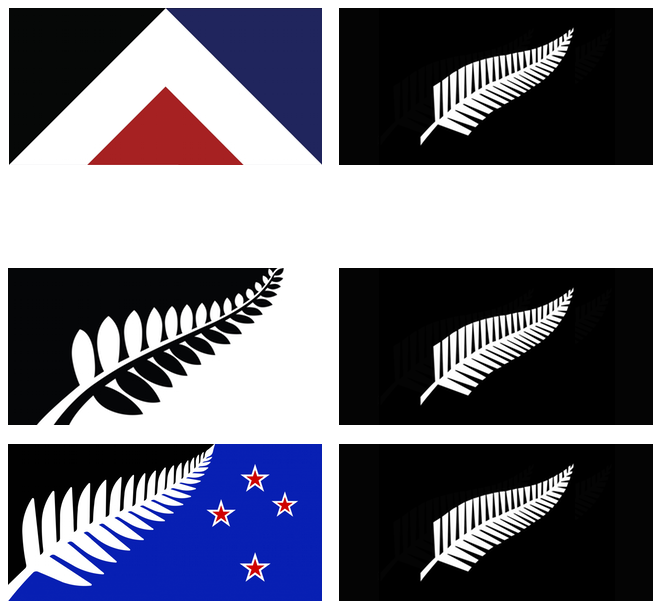 So any silver fern flag inevitably becomes compromised and complicated with multiple colours and a mixture of symbols. 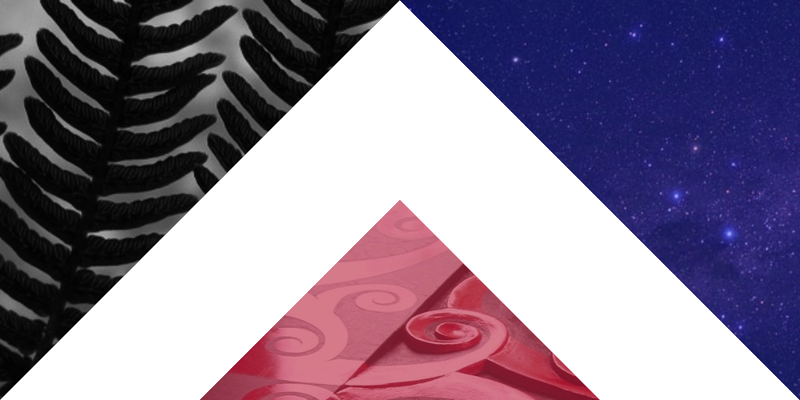 A common criticism of Red Peak is that it is just a bunch of triangles and doesn’t scream “New Zealand”. This is true of the South African flag too. 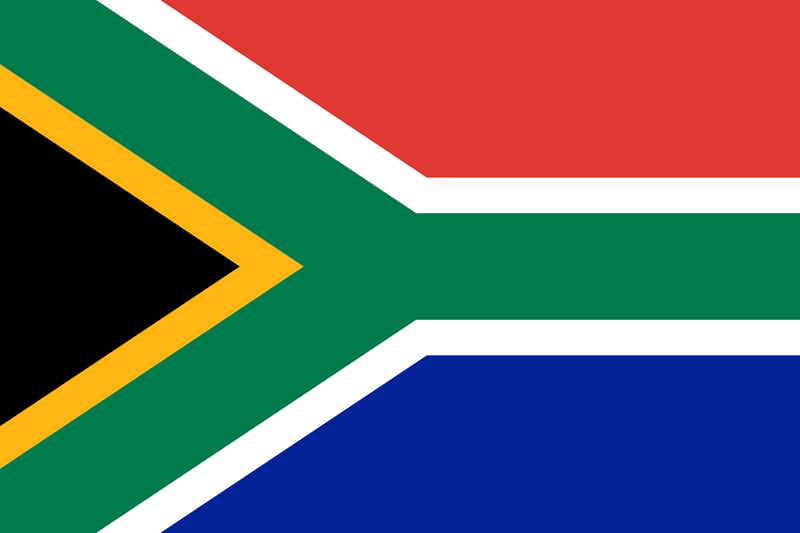 It’s also a simple geometric design, but one which we now instantly recognise as representing South Africa. Why is that? Of course there is a story, and all of the colours and shapes have meaning, but those details are really only important to South Africans. We don’t need to know the story to know this is their flag. Red Peak has a wonderful story, referencing the mountains that literally define our country, and the Māori creation myth of Ranginui and Papatūānuku. 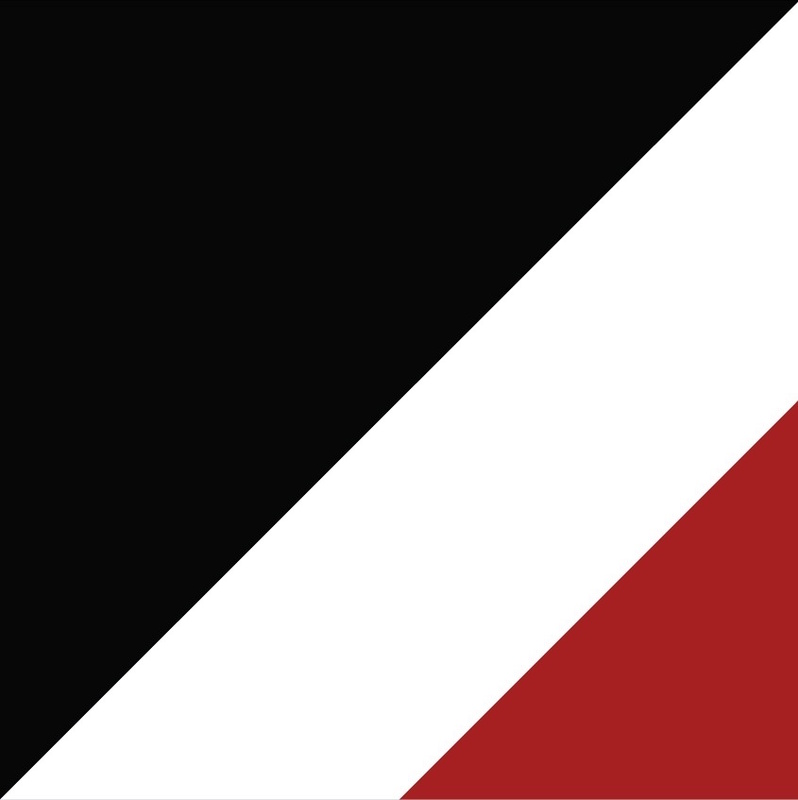 It is a flag of two halves: one referencing the colours and designs of traditional tāniko and tukutuku panels, the other referencing the colour and shapes of the current flag. It’s strong, but it doesn’t shout. It’s humble but aspirational. It has the same qualities that define us as New Zealanders. These stories have meaning and can be something we share with the world. But they are mostly for us. Others will come to know this design over time; as a result of the way we proudly fly the flag, wear it on our backpacks and paint it on our faces. Whether large (on the giant flag pole greeting tourists at Auckland airport) or tiny (next to an athlete’s name at the Olympics) Red Peak is a elegant and distinctive design that works. When you come to rank the options in the upcoming referendum consider the overwhelming support the Red Peak design has among the experts. I don’t claim to be one of them, but having listened to their advice, I was convinced. We’re lucky that Red Peak was included as a fifth option. But, it’s still the underdog. It needs your support. Please vote, and rank Red Peak #1. 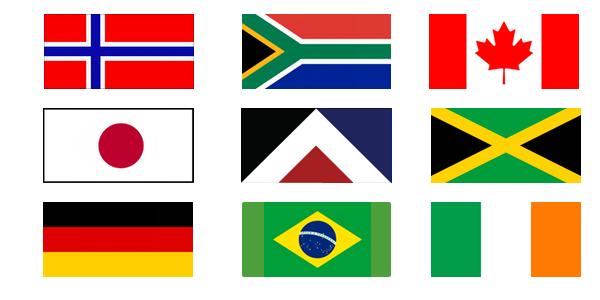 When people from around the world ask about our flag it would be great to have an amazing story to tell them. What story will you tell? I was recently invited to travel to Israel as part of a delegation organised by Square Peg Capital and the Australian Israel Chamber of Commerce. One of the people I met was Eitan Wertheimer, who sold his family business to Berkshire Hathaway in 2013 for $6.05 billion (that .05 is $50 million – when talking in billions even the second decimal point is material!) He spoke about the challenges of growing and selling the business. But, interestingly, he also talked frankly about how he struggled with what came next. While our windfall from the Trade Me sale to Fairfax in 2006 was several orders of magnitude smaller, that resonated with me, as it similarly forced me to develop a whole new range of skills in short order: managing money, investments and philanthropy. To date we’ve managed by a combination of brute force and negligence. Ben Casnocha recently wrote about his experience working as Chief of Staff for Reid Hoffman. He talks about “The 40% Question” – i.e. if you think you’re working at 60% efficiency then what would it take to bridge the gap, and how would life be different if you did? That question is full of intrigue for me! And the rest of the article hinted at some of the answers. Clearly the way we have been working doesn’t scale. It’s time to level up. So, we’re delighted to announce that we have hired Sacha Judd as our new managing director, with effect from October this year, across our private investments, early-stage ventures and non-profit foundation. Sacha has been a corporate and capital markets partner at Buddle Findlay for the past eight years, and has specialised in working with early-stage and high-growth technology companies. She is a significant contributor to the sector, through her work with events like Refactor, and her focus on educating and empowering founders. We have worked together with Sacha on many of the ventures we have invested in, including Vend, Timely, Atomic and Revert, as well as co-hosting an annual Flounders’ Club retreat at our fabled Unicorn Farm, near Nelson. I’m still in shock, frankly, that we were able to get somebody of her calibre to agree to do this job. I’m very excited about the possibilities that this creates for all of us. You can now find us at hoku.nz. Stay tuned…!